The last and most American of the three films made by F.W. Murnau in Hollywood, City Girl is a conscious inversion of such earlier works as The Burning Earth (1922) and Sunrise (1927), expressing a curiosity about American individualism and an extraordinary feel for the American landscape. In essence it is a sort of rural, “naturalistic” Kammerspiel film, overtaken by the introduction of sound, mutilated by its studio and released in a severely expiated form. It was destined to become a celebrated “lost” film before something close to Murnau’s original cut was discovered in 1970. The actual production and release history of City Girl (also known as Our Daily Bread) is very difficult to unravel. Most accounts of the film, and indeed of Murnau’s oeuvre in general, rely upon incomplete prints, half-forgotten memories and rather contradictory accounts of the film’s fate in relation to the introduction of sound. Most critics consider the extant version of the film to be a doctoring of Murnau’s grander vision, a view mostly based upon studio documentation and a broader narrative of directorial excess (a farm was supposedly built in Oregon exclusively for the film), compromise and decline conventionally applied to Murnau’s career. This position or critical approach manifestly fails to account for the film’s extraordinary consistency, symmetry and self-conscious (perhaps even critical) relationship to much of the rest of Murnau’s cinema. For example, City Girl‘s bond to Sunrise is one of its most fascinating elements. In its opening movements it is as if the film evokes a key plot element of Sunrise (an innocent country boy, Lem (Charles Farrell), is approached by a “vamp” on a train ride to the city) only to then diverge from and invert it (he immediately rejects her). As in Sunrise, the city is presented as a dynamic entity defined by and constructed around movement and a curious modernity; but it also projects a subtle desperation and palpably melancholy quality new to Murnau’s cinema. It is also the home of Kate (May Duncan), the “city girl” of the title who longs for a romantically idealised country life and who subsequently emerges as one of the strongest and most clear-eyed female characters in American silent cinema (presenting a clear reversal of the moral universe – and characters – of Sunrise). It is through Kate that we experience the continuity of the city and country in City Girl, the archetypes of perception and oppression, and the parallel social structures and prejudices that fuel both worlds. The film relies upon stereotypes, prejudices and entrenched value systems to define character behaviour – typical of Murnau – and refuses to view either the city or country as havens of domestic or romantic harmony. City Girl shows us characters who are in the world and all that entails. Although it is often compared unfavorably with Sunrise, City Girl is in ways a welcome antidote to the earlier, more obviously brilliant film, shifting the earlier film’s emphasis on the intricate manipulation of mise-en-scene (and the choreography of things “placed” in the frame) onto montage, while also inverting its characters, actions and archetypes. City Girl relies upon the extraordinary framing and masterful manipulation of off-screen space (that suggests a complex world just outside the limits of the frame) characteristic of Murnau’s cinema but shifts toward a more American tone, sensibility and pared-back, starkly realised mise-en-scène. Murnau’s films are often criticised for their simplistic definitions of characters and extreme structural polarities (criticisms generally of the pantomimic nature of silent narrative cinema) but this is almost always combined, as it is in City Girl, with a complexity, ambiguity and muddying of what might seem like discrete categories. As in Sunrise the film uses repetition, the memory of actions and space, to elide its seemingly insurmountable conflicts. Consequently, this is a film full of subtle and less than subtle parallels and symbols. For example, as Lem’s puritanical father roughly cuts through a loaf of bread in the country the film “cuts” to a mechanical slicer indifferently pumping out precise portions of the same “commodity” in a city restaurant. In the process, the elemental “thingness” or materiality of the wheat is transformed into an abstracted commodity. It is in these moments, where an often imperceptible or previously hidden process is revealed through the power of montage combined with exquisitely detailed mise-en-scène that one can glimpse the remnants of the “symphony of wheat” initially envisaged by Murnau when preparing the film (an enhanced “documentary” awareness pointing toward his last film, 1931’s Tabu). Ultimately, City Girl has little more than the tinge of documentary about it (it is a film less about wheat than is, say, Malick’s Days of Heaven, 1978) but it does offer a fascinating illustration of how expressionist and naturalistic tendencies are synthesised in Murnau’s cinema. City Girl also clearly echoes, in both style and narrative, Victor Sjöström’s elemental masterpiece, The Wind (1928). In essence, Murnau’s cinema is a quixotic entity possessing an elusive, shifting and experimental style varying, departing and returning within each film. It is a composite or impure thing, always shifting and re-combining disparate styles; it is also, at the same time, one of the “purest” expressions of cinema ever created. The ending of City Girl echoes the symbolic remarriage that is at the heart of Sunrise, as Kate and Lem cross the “threshold” of the family farm chaperoned by the now silent and submissive father. But we should ask whether this ending allows them to enter a less archetypal position or structure, are the polarities they embody really synthesised – of man and woman, country and city, etc. – and have they conquered the ambiguity of motivation and psychology that plagues them? These are things the film cannot answer as the cart carrying them departs the frame and the screen fades into an inky blackness. The film concludes with a subtle ambiguity that is also one of its great strengths: We think they’ll be all right but can’t help thinking of the world and the order just beyond the frame they must re-enter. The strengths of Murnau’s films often lie in the details, the representation and conveyance of emotion, the expressive and minimalist use of intertitles, the discrete complication of structural polarities, and the extraordinary play of light and dark across expressive interior and exterior landscapes. 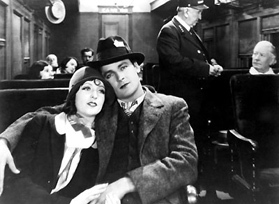 City Girl, both an archaic and visionary work of the late silent cinema, is a reiteration and reinvigoration of these qualities. Welcome to Issue 28 of our journal! Adrian Danks is Associate Dean, Media, in the School of Media and Communication, RMIT University. He is also co-curator of the Melbourne Cinémathèque and was an editor of Senses of Cinema from 2000 to 2014. He has published hundreds of articles on various aspects of cinema and is the editor of A Companion to Robert Altman (Wiley-Blackwell, 2015) and American-Australian Cinema: Transnational Connections (Palgrave). The Nature of The Beast Remains… Irrepressible!